當您要將文件轉換來編輯使用，ABBYY FineReader 直接輸出到您想要的應用方式，包括Microsoft Word、Microsoft Excel、Microsoft PowerPoint和Adobe Acrobat。 此外，識別的文本可以被保存成不同的文件格式，包括 PDF、PDF / A的、doc/docx，XLS/ XLSX, PPT/PPTX, RTF, HTML, DBF, CSV, TXT. 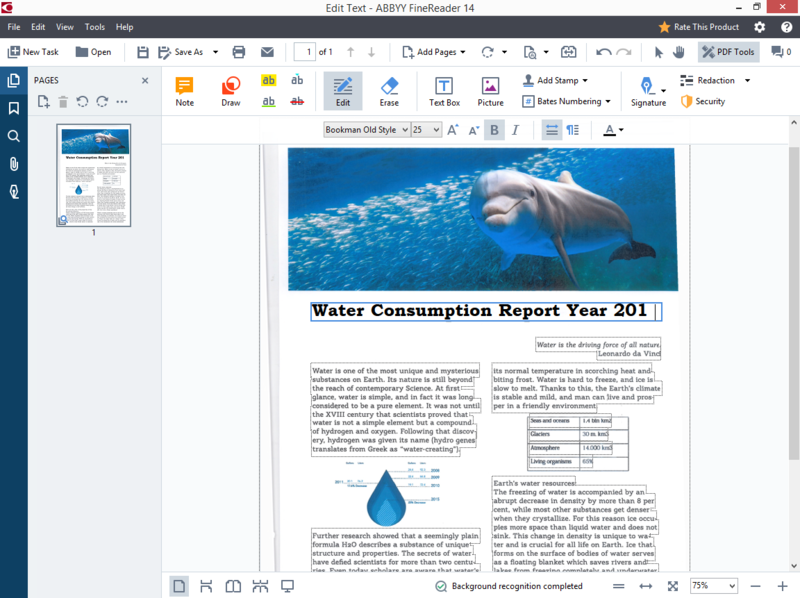 FineReader 14 offers simple and flexible licensing options to ﬁt the requirements of business organizations as well as public and educational institutions. Toolkit for empowering mobile and other “compact” applications with text recognition and conversion capabilities.